This is Hubble’s view of NGC 7006, a relatively faint cluster of a hundred or so thousand stars located in the constellation of Delphinus, the dolphin. It appears relatively faint and small as globulars go, but as it turns out it’s a very, very interesting object indeed. 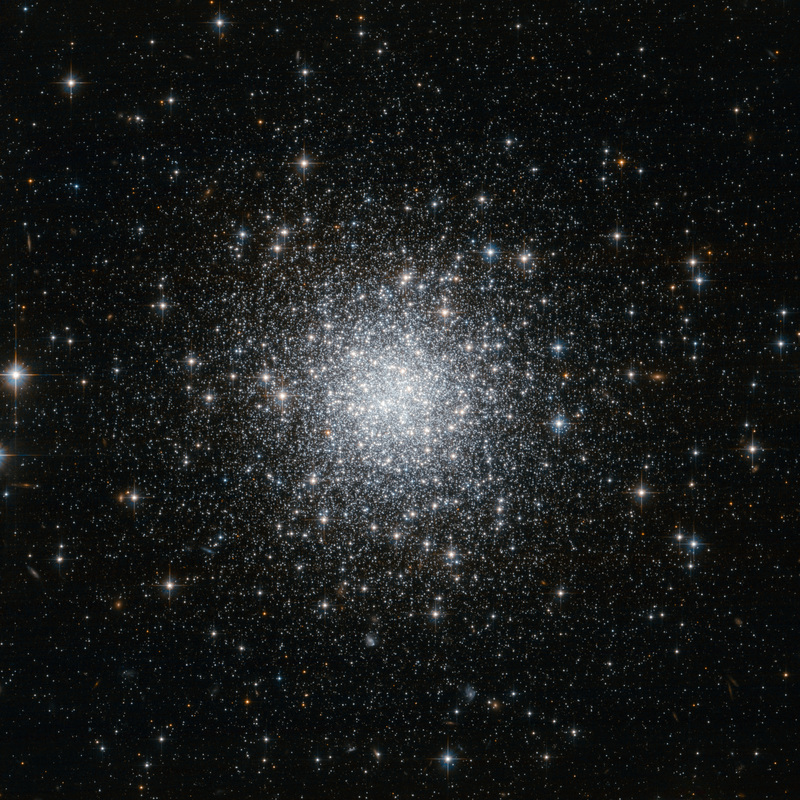 NGC 7006 is one of the most remote globular clusters orbiting the Milky Way; it’s currently 135,000 light years away - 1.35 quintillion (1,350,000,000,000,000,000) kilometers distant. For comparison, the Milky Way itself is about 100,000 light years across. Not only that, but NGC 7006 is still heading out, increasing that distance, and it’s not exactly taking its time: it’s moving away at an astonishing 380 km/sec (250 miles/sec)! Measurements of its position taken over a 40 year time span also give an indication of the shape of its orbit. The most far-flung part of its path – called apogalacticon, a word you gotta love – is a stunning 330,000 light years distant! That is a long, long way off. As far as I can tell, that will make it one day the most distant globular cluster orbiting the Milky Way. The only things farther out are dwarf satellite galaxies slowly revolving around us. NGC 7006’s orbit is so huge that it’s hard to see how it could’ve gotten there if it formed along with our own galaxy… which may be an indication it didn’t. A good guess is that it was part of some other galaxy that either still orbits us, or was torn from its home when the Milky Way collided with and ate its parent galaxy. We know that happens pretty commonly in the Universe, so it’s a fair bet. Either way, this cluster is incredibly far off, and increasing that distance every second of every day as it heads out into space. Eventually it will reach the apex of its orbit, turn around, and head back in, like some vast comet. At that apex, once per orbit, it just skims into the region of empty intergalactic space which stretches for millions of light years, deep into the Local Group of galaxies which includes Andromeda, Triangulum, and a handful of others. Past that? True space, deep space, lightly sprinkled with galaxies almost as an afterthought. You can even see some of these island universes in the photo above: dimmed and dwarfed by their mind-crushing distances of hundreds of millions or even billions of light years. It’s hard to grasp how terribly deep space is, but then something like this comes along and forces us to look into the abyss. But you know what? I don’t mind. It’s pretty, and it’s interesting, and it’s real, and it’s where we live. Learning more about it seems the least we can do. - Spectacular and sparkling, but what is it?